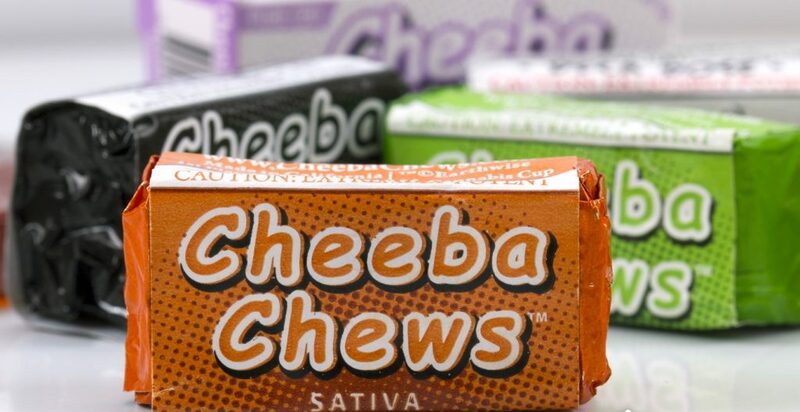 Cheeba Chews are another remarkably easy marijuana recipe to make. With 3 simple ingredients, anybody can make this delicious treat. This recipe is an easy alternative to marijuana cakes and cookies, which are very heavy with lots of butter and complexity. Cheeba chews are light, bite sized snacks that you can casually enjoy at your ease without becoming a world class chef. It is probably the easiest of all cannabis recipes, short of simply drinking medicated cannabis oil straight from the bottle! Put the tootsie rolls in a pot and heat them until they melt. Once melted, add the marijuana oil of your choice and the tablespoon of condensed milk. Let this heat for 3 or 4 minutes and stir everything together so it is all blended in. Pour this into a pyrex container and allow it to cool for 15 minutes. Cut the mix into small Cheeba Chew sized slices and you now have your Cheeba Chews. This recipe makes around 50 Cheeba Chews. The hardest part is cutting them up! However, if you don’t have your own hash or cannabis oil, it can add much more difficulty to the process. An alternative to this would be to use cannabis butter instead of oil. To make cannabis butter, simply heat up some regular butter in a saucepan over medium heat, and then add some ground up marijuana. Mix the two and simmer this for about 10 minutes and strain. Let the mixture cool into butter. You not have cannabis infused butter, also known as cannabutter.